The following is a menu of the workshops I teach. Please contact me if you, or your art association or group, are interested in hosting a workshop. This workshop is chock full of helpful tips that make the medium of watercolor easier to work with. Kim covers what many teachers in watercolor fail to discuss in regards to the nuances and differences in papers, types of brushes and pigments. 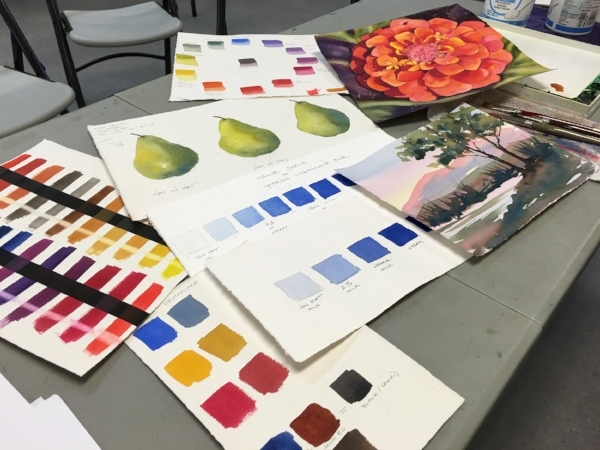 Students will work with a limited primary palette and spend time on color theory to learn to mix all colors needed, taking away the intimidation of too many color choices! Kim covers how to mix grays and neutralize colors, as well as the secret to successful watercolor painting, by understanding pigment to water ratios and viscosity. 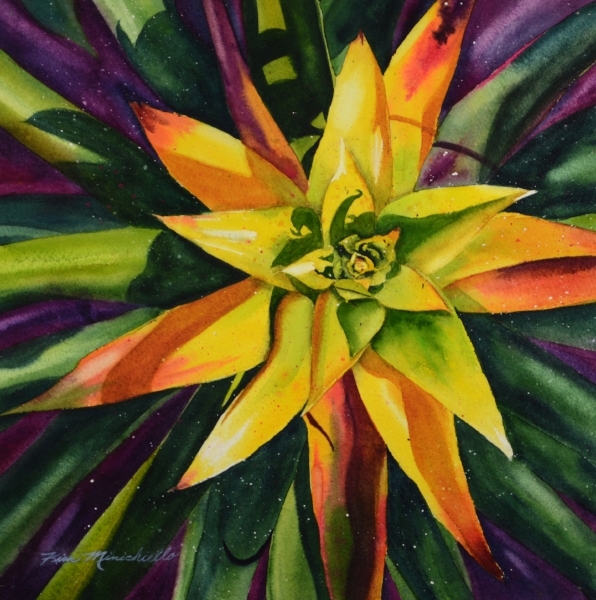 This workshop expands and continues the concepts learned in Water Color 101, Kim goes beyond what many consider to be traditional watercolor techniques by using bold color, interesting compositions, and unique subject matter. Working as a designer for over 30 years Kim shows her approach to designing a painting for a more dynamic composition, and how to get values to read giving your 2-dimensional work more 3-dimensionality. As a designer for Walt Disney Imagineering Kim has lived abroad and traveled the world doing research for the design of Disney Theme Parks. For years Kim has been filling sketchbooks with watercolor sketches from her travels in Asia, and Europe. While living in Hong Kong, China and Paris, France Kim routinely went on sketch outings. Kim will guide you through the basics to get you started on our own journey of recording your surroundings whether it be in your backyard or on your world travels. Learn the basics of proportion and perspective and simplifying the scene in front of you. Photoshop in an essential tool for Kim's art business as well as for designing her award winning work. Kim will cover the following points to help artists that are somewhat familiar with Photoshop have another tool to utilize for art making and promotion. Please note this is not a beginning Photoshop class to teach students how to use Photoshop. They must understand how to create and work with with files, layers and be familiar with the tool bar. Enhance photographs to paint from. Size, work on, or change composition from a photo for your painting. Work on images in actual size in Photoshop to test design and composition. Learn how to size images for competitions and posting on blogs and web sites. Learn how to add a watermark or copyright your images. How best to crop and prepare photos of your work for competitions and submitting for shows orgalleries.